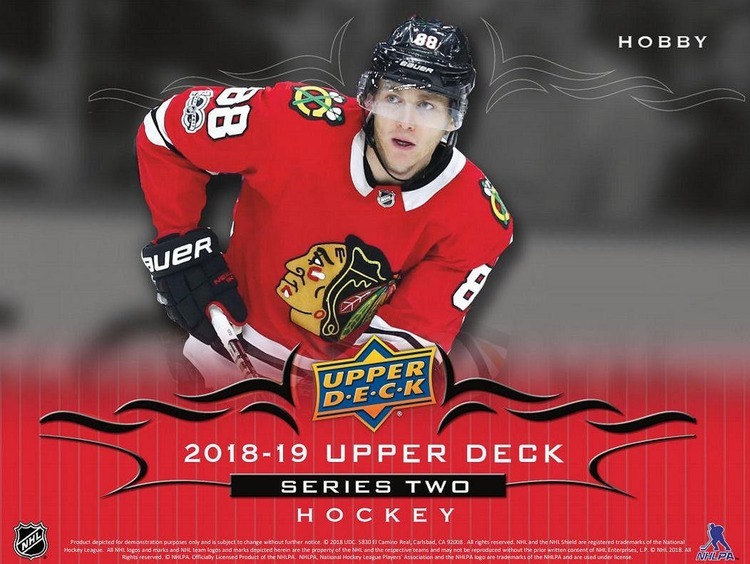 Each Box of 2018/19 Upper Deck Series 2 Hobby contains Six Young Guns Rookies, Four UD Canvas, Four O-Pee-Chee Update Rookies, and Four UD Portraits Rookies! 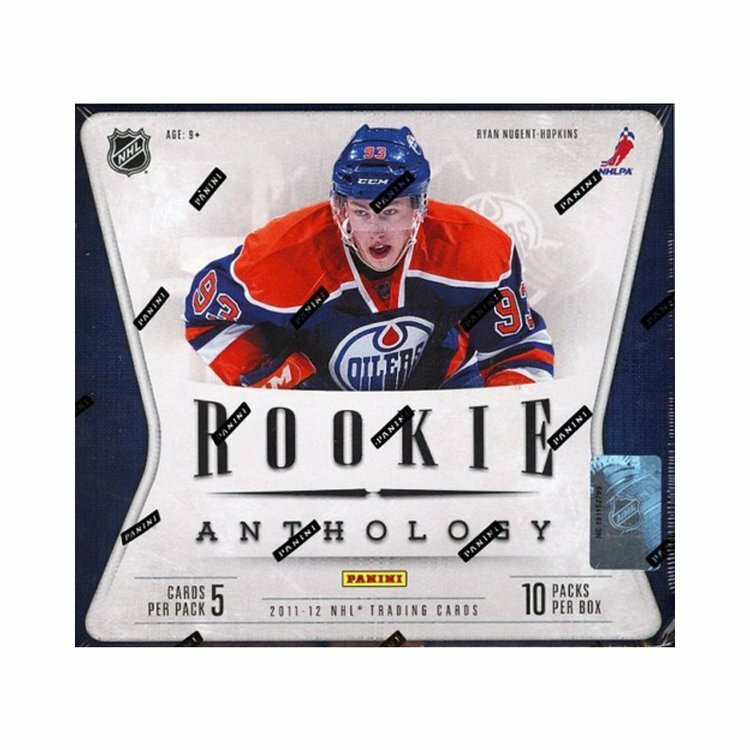 Look for Young Guns Rookie Cards of Casey Mittelstadt and Andrei Svechnikov! Collect the 250 base set in Exclusives parallels (#'d to 100) and rare High Gloss parallels (#'d to 10). Home of the highly sought after Young Guns Rookie cards, falling 6 per box. Look for the second wave of UD Canvas cards. Find Rookie Materials Patch parallels, crash #'d to 25, providing a high-end chase! NEW! Rookie Phootshoot Flashback Materials. NEW! Look for the all-new selection of the 1,000 Point Club memorabilia cards. 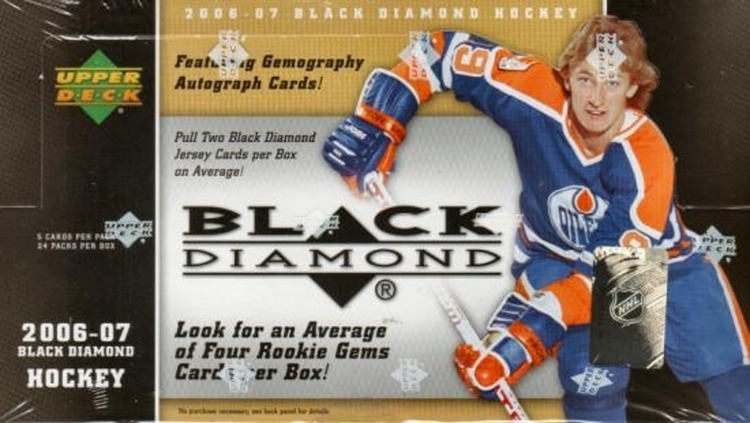 O-Pee-Chee Update cards return, including the impressive Retro Black Border Parallels (#'d to 100). Look for the hobby exclusive Clear Cut Parallels of the complete 250-card base set. Find the additional acetate insert, Rookie Breakouts, also seeded exclusively in hobby packs! Back by popular demand! Fluorescence returns with a new design and new rookie class (#'d as low as 5)!